Dessert tonight was my responsibility. 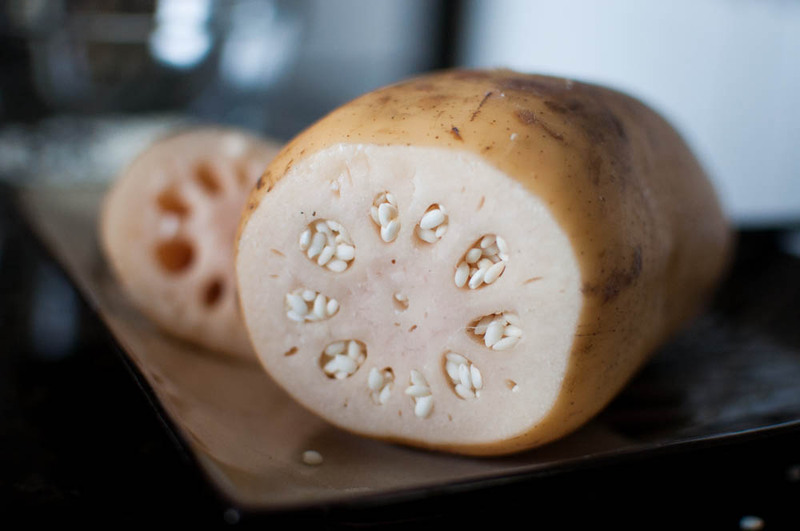 I decided to try to my hand at making one of my favorite desserts, steamed lotus root stuffed with sweet sticky rice. It takes quite a bit of patience to make sure that every crevasse is packed very tightly with the raw rice kernels. Half an hour later on the stove top, this will be ready to be sliced and enjoyed enrobed in sugar.